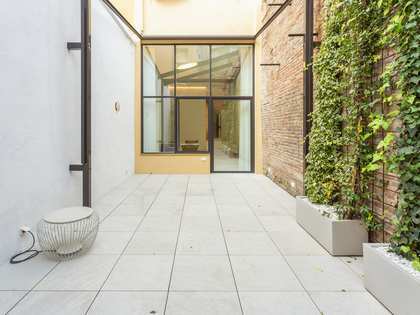 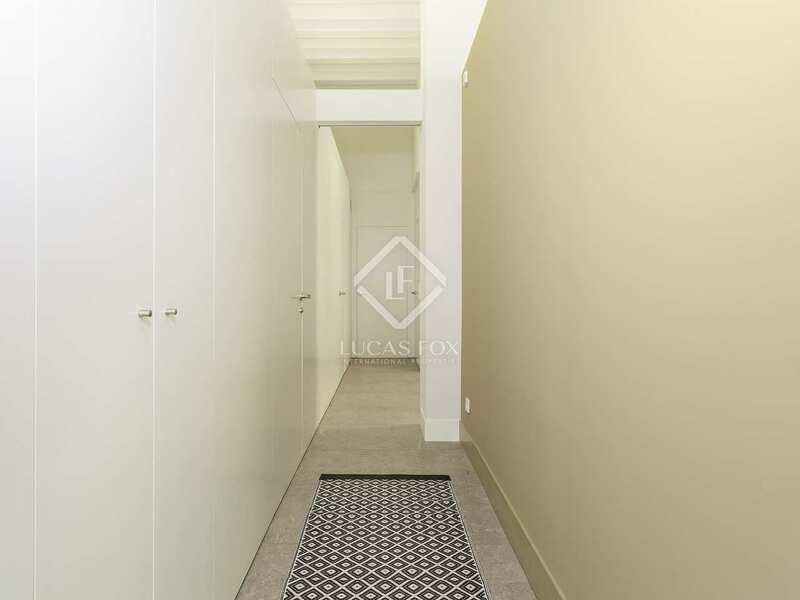 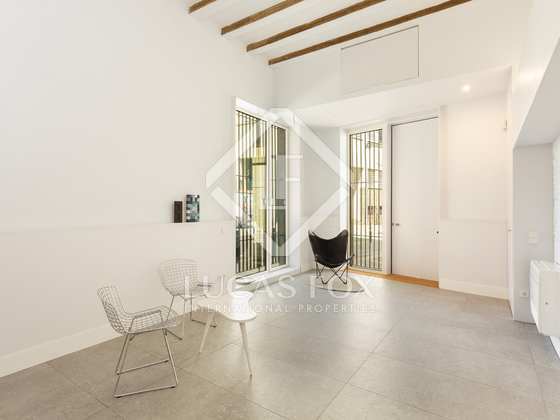 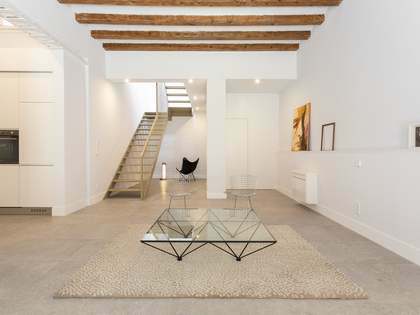 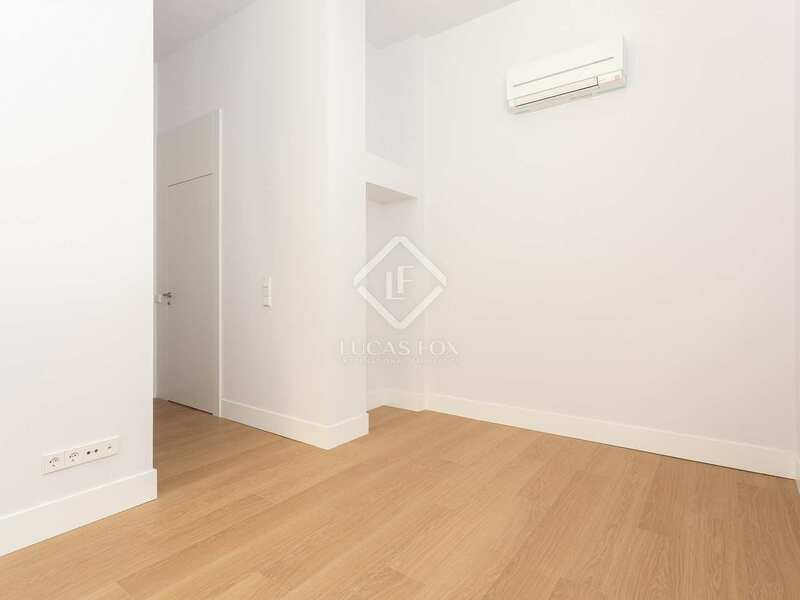 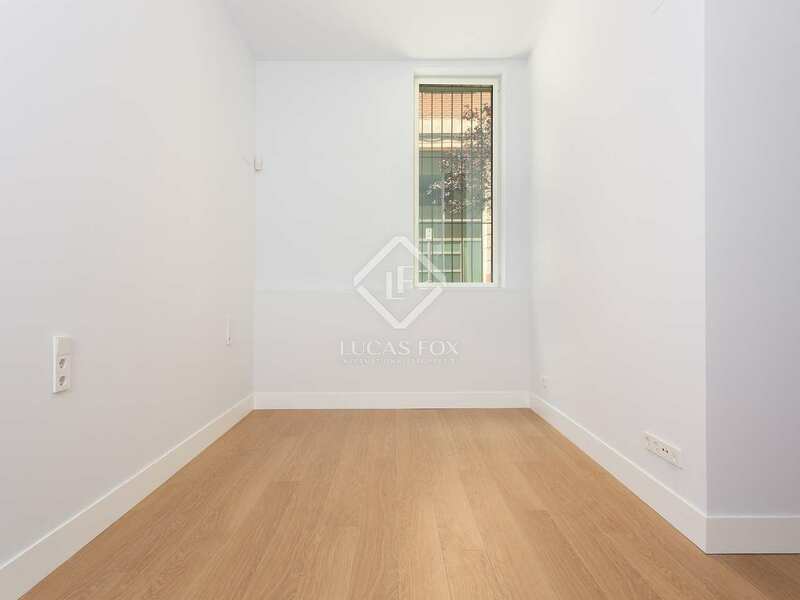 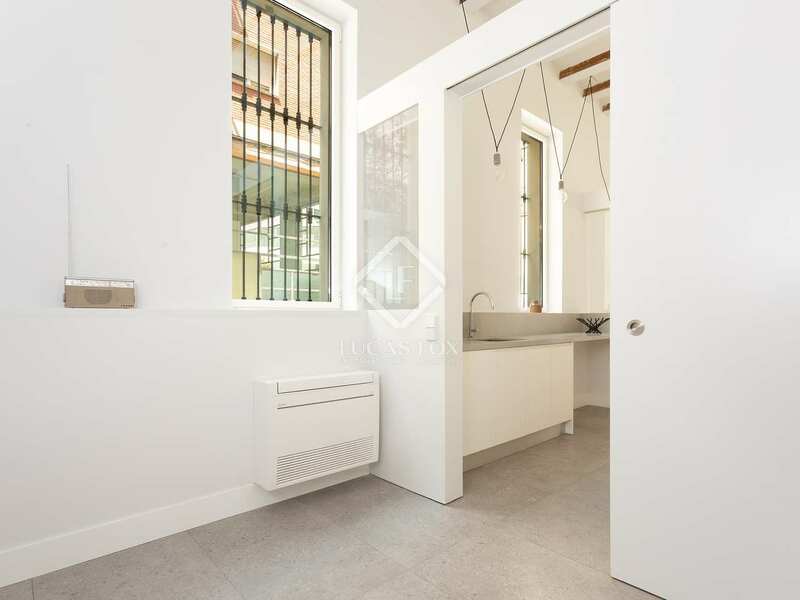 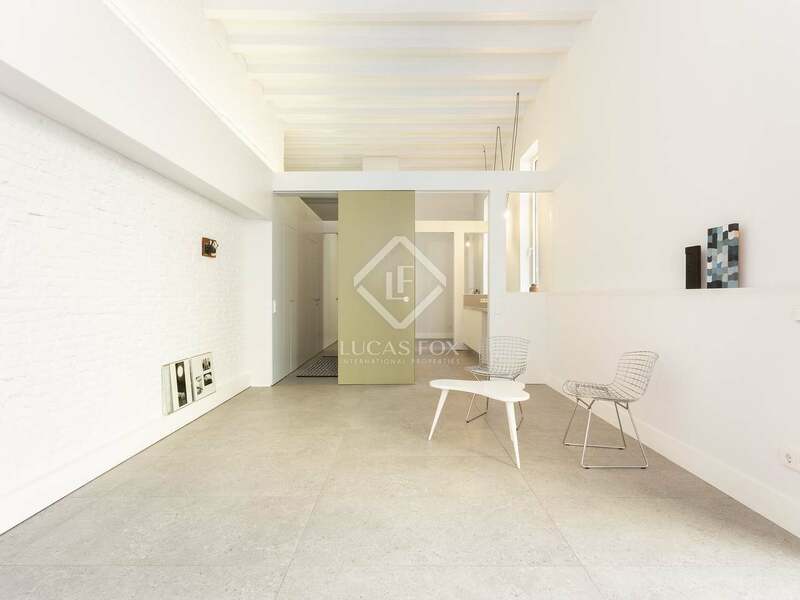 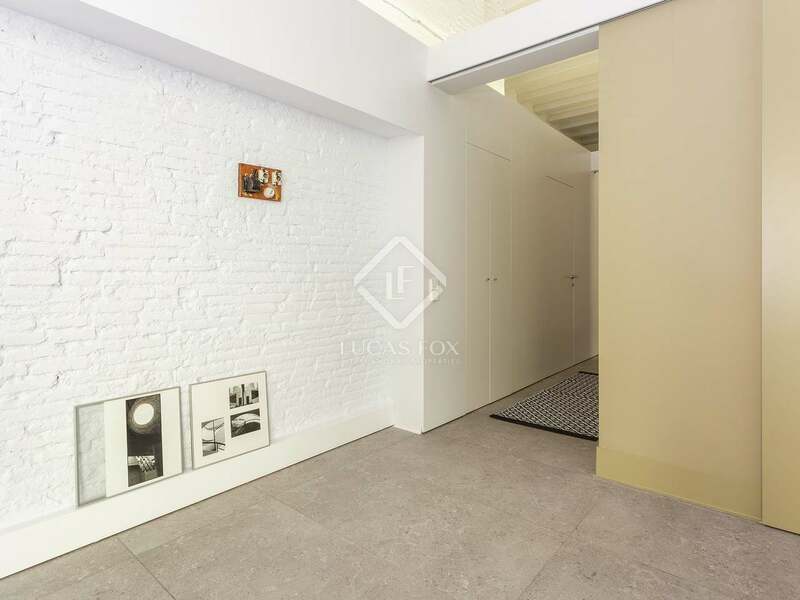 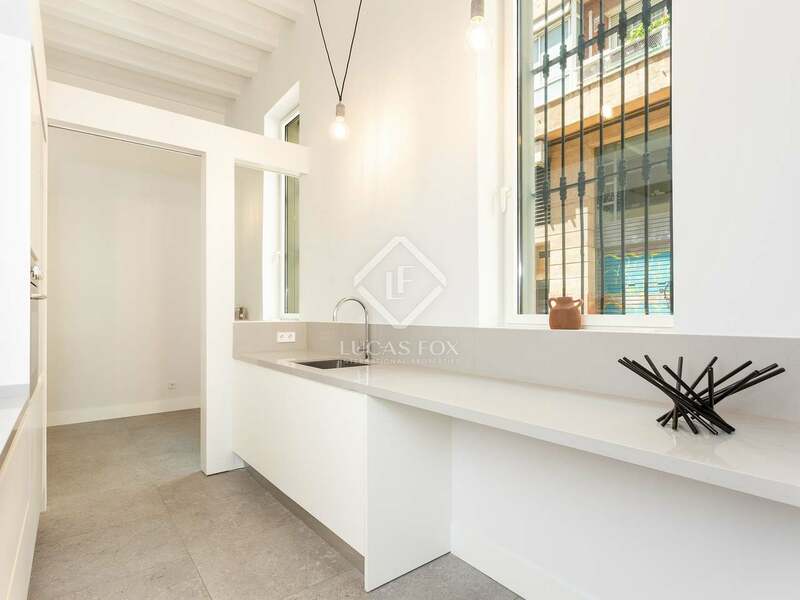 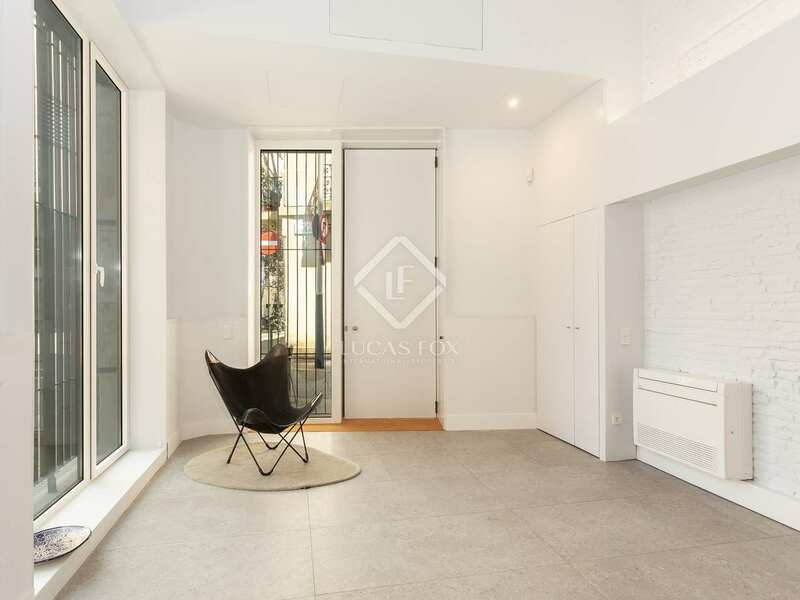 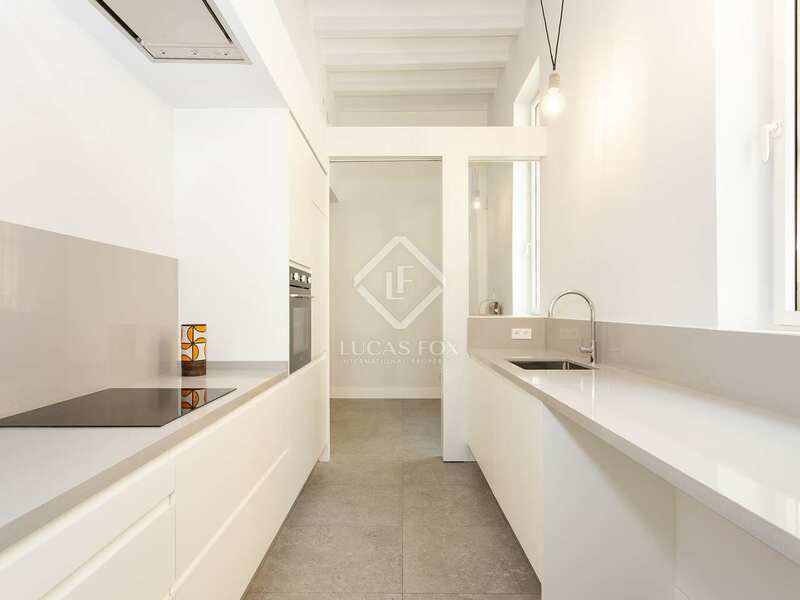 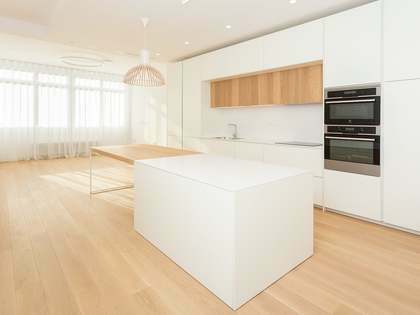 This excellent apartment was fully renovated in 2018 with quality finishes and is ready to move into, in a building with a classic façade in the Sants neighborhood, with direct access from the street. 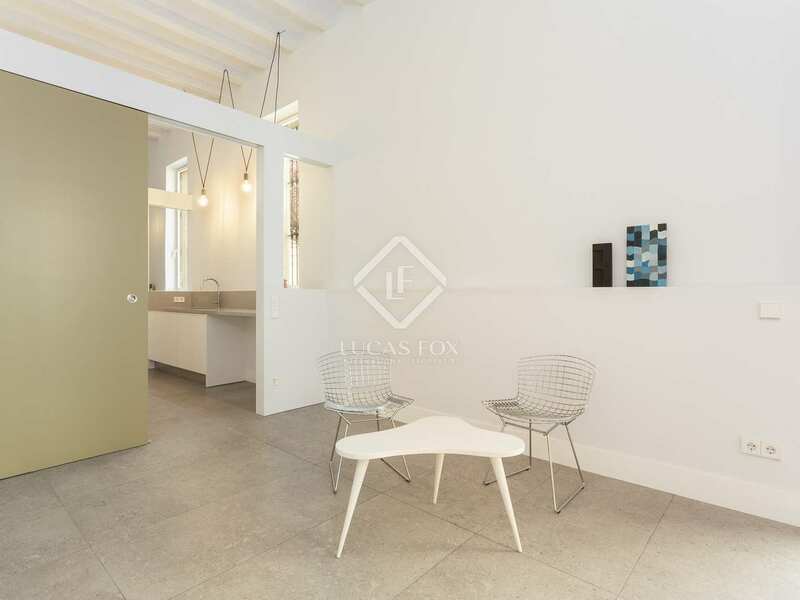 This renovated corner property has neutral finishes and a minimalist and very practical design, which has created ample spaces. 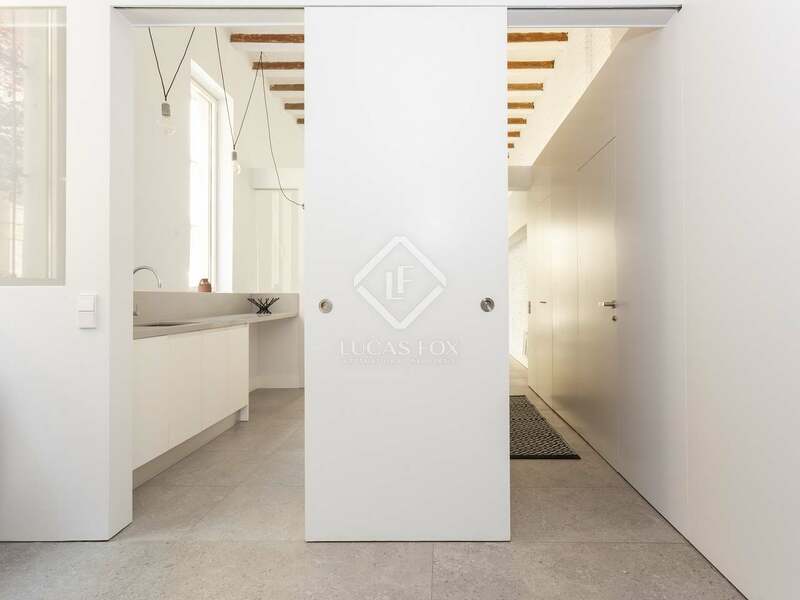 Being a 1930's building, it enjoys double height ceilings with Catalan vaulting and wooden beams, which maximize the spaciousness of the rooms, such features have been effectively combined with modern finishes. 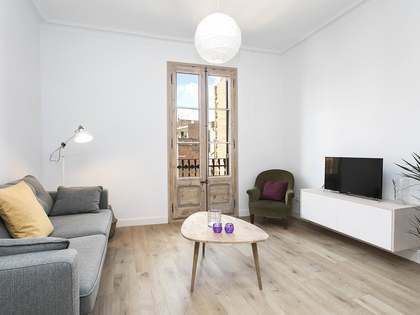 The apartment consists of a large living-dining room, a separate kitchen, a double bedroom with a private bathroom, another double bedroom and a second bathroom, in this case separate from the bedroom. 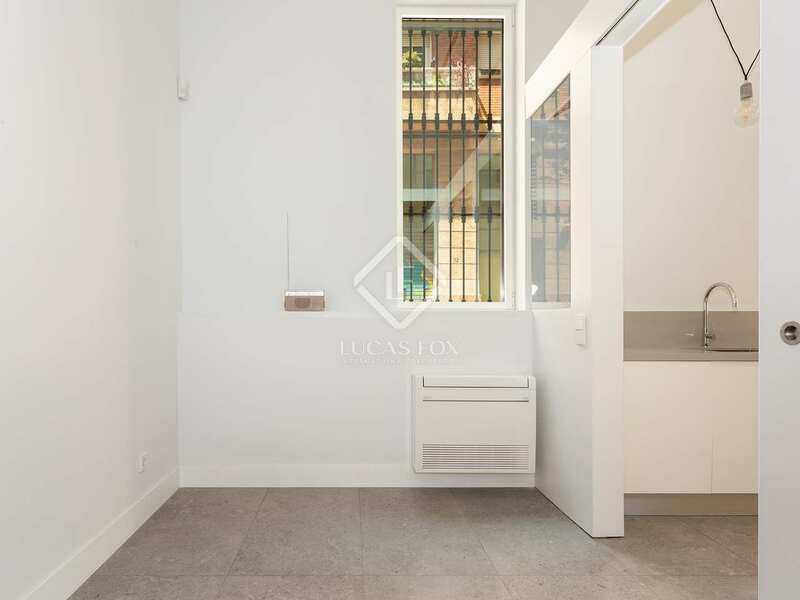 A laundry area completes the property. 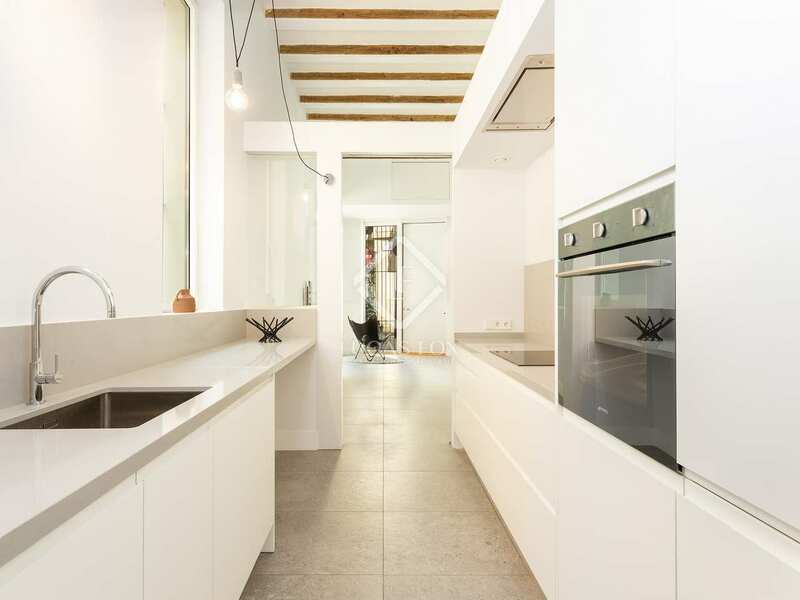 The current layout offers the option to use a common space as a single bedroom and the double height of the ceilings could be used to create an mezzanine. 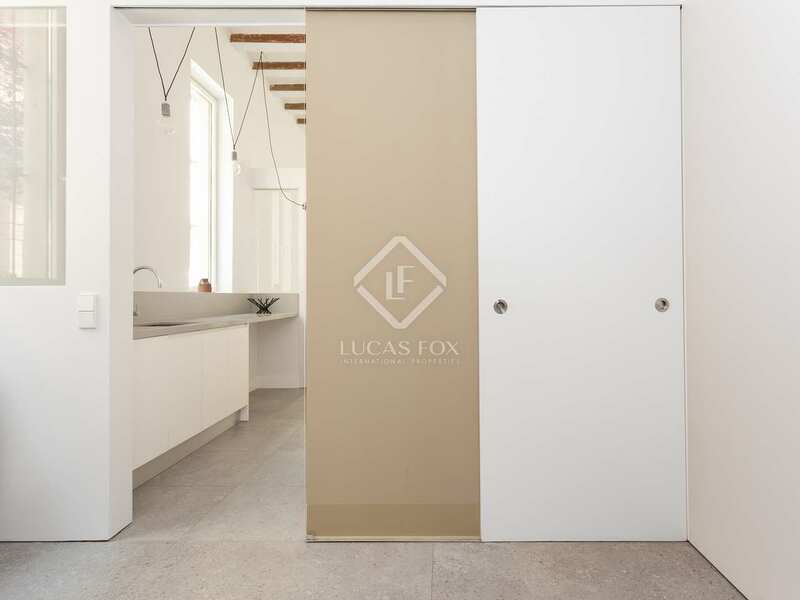 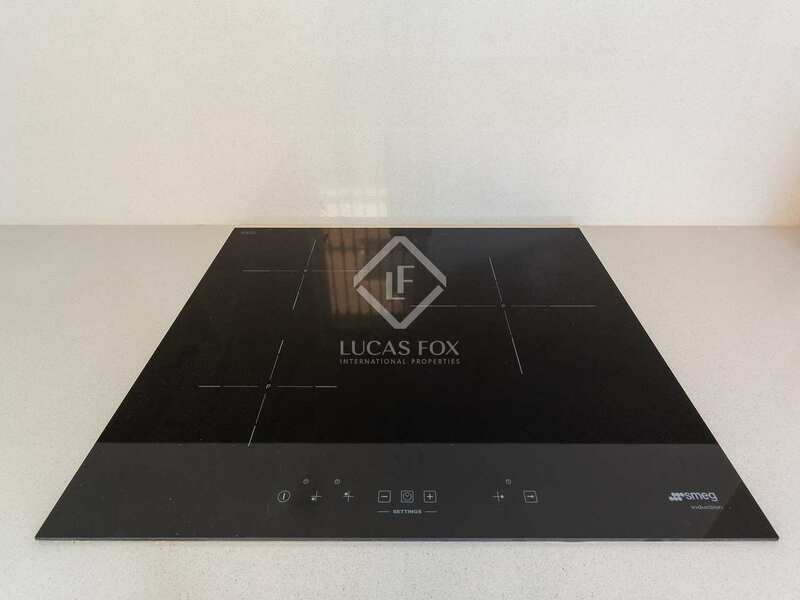 The bathrooms have quality sanitary fittings and taps, and the kitchen is equipped with a Smeg induction hob, oven and dishwasher, decorative Pando extractor hood hidden in the ceiling, Silestone countertops and high-end Rekker furniture, which has been adapted to integrate the appliances. 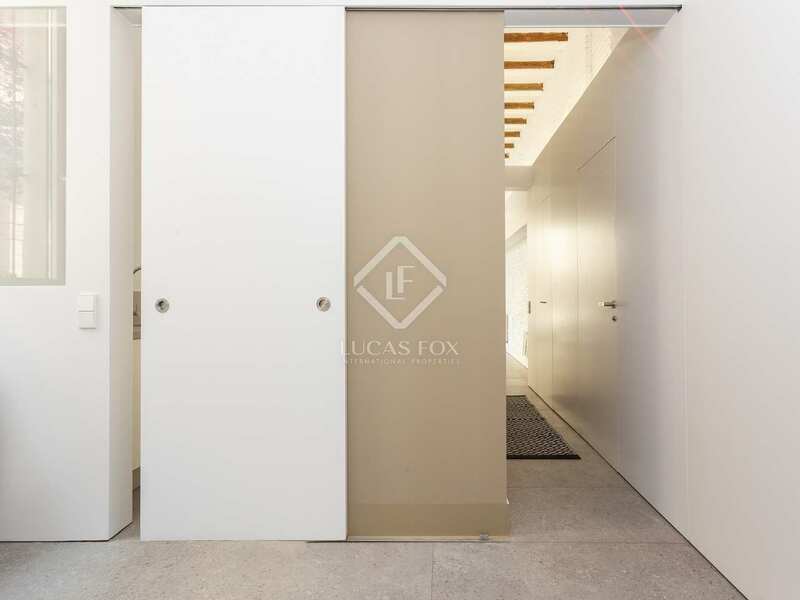 The property is also presented with Technal aluminum joinery with Climalit double glazing and mirrored glass that provides complete privacy as the interior cannot be seen from outside. 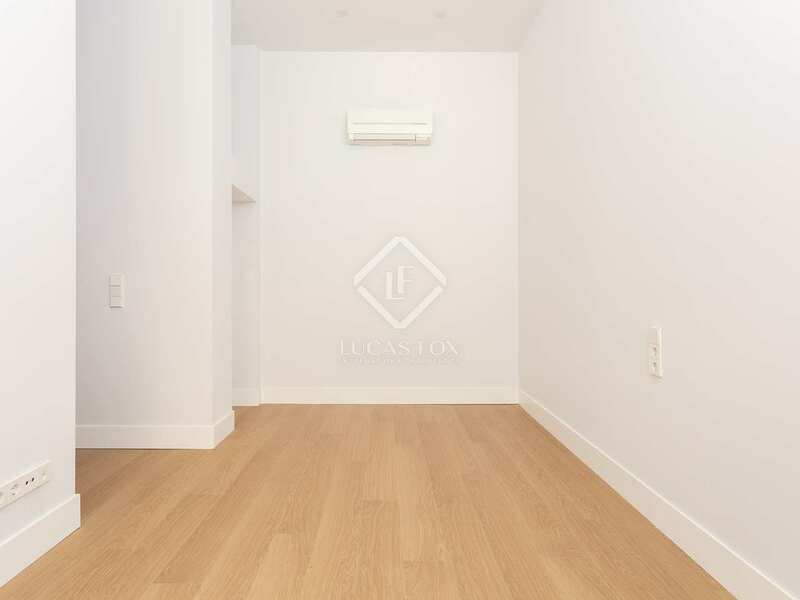 Further features include the alarm system, hot / cold air conditioning, porcelain stoneware flooring and wooden flooring in the bedrooms. 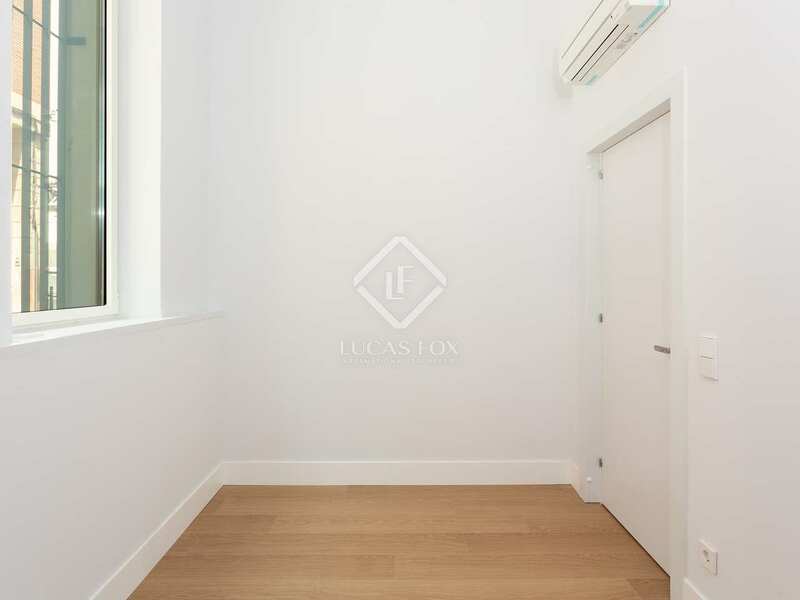 This apartment, which has a certificate of occupancy and is sold unfurnished, would be ideal as a first or second residence. 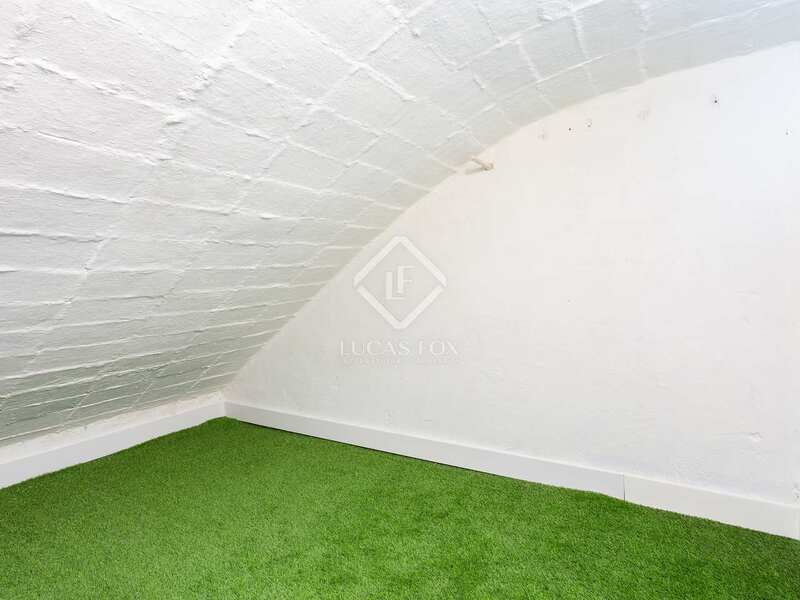 Also, given its location in an up-and-coming area, it would make a sound investment. 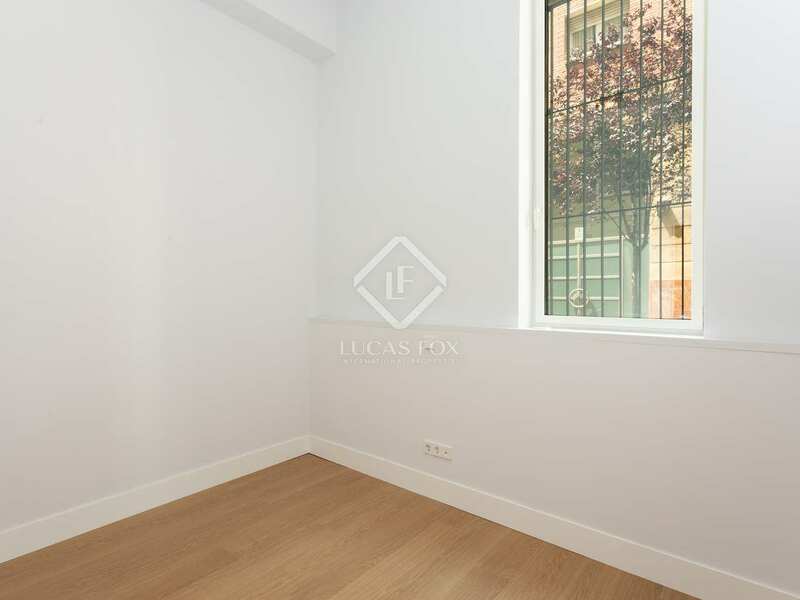 Apartment located in Sants, which still has a distinctive small town charm, near Plaça de Sants, Plaça d'Osca and l'Espanya Industrial park. 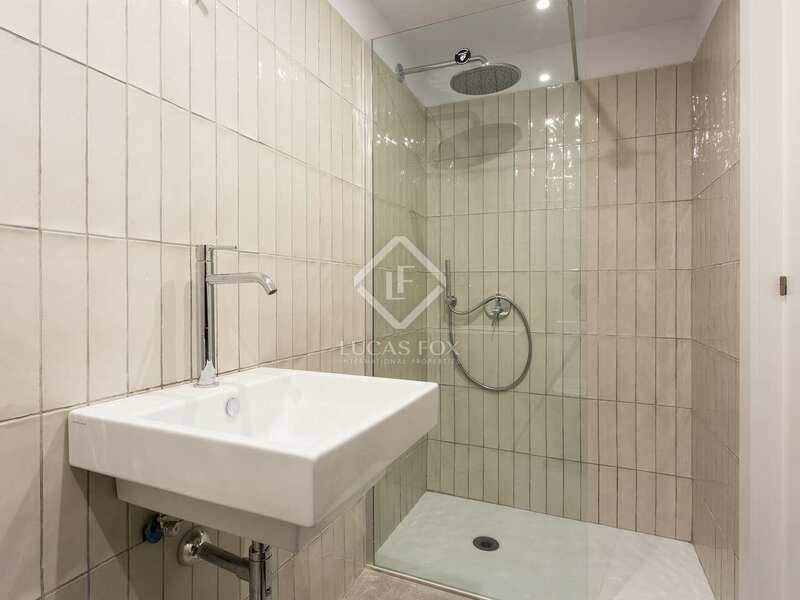 It is a quiet area with little traffic and surrounded by all kinds of services and shops, as well as public transport (metro L1 and L5 and several bus lines). 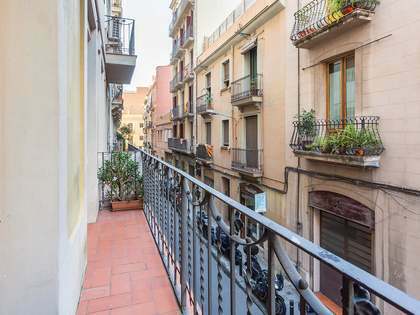 It is also close to Sants station, the main train station in Barcelona, which connects with the entire city, the surroundings and the airport.